Gershayim (Hebrew: גֵּרְשַׁיִם, without niqqud גרשיים), also occasionally grashayim (Hebrew: גְּרָשַׁיִם), names two distinct typographical marks in the Hebrew language. The name literally means "double geresh". To indicate an acronym. For example: דּוּ״חַ (singular), דּוּ״חוֹת (plural), "report" represents דין וחשבון; and מ״כ (masculine), מַ״כִּית (feminine), "squad commander" represents מפקד כיתה. To indicate a multi-digit Hebrew numeral. For example: ח״י represents 18. Single-digit numerals are indicated with a following geresh. To indicate the names of Hebrew letters, differentiating them from any homographs. Compare הוּא שִׂרְטֵט עַיִן "he sketched an eye" with הוּא שִׂרְטֵט עַיִ״ן "he sketched an ayin". To indicate Hebrew word roots. For example: the root of תַּשְׁבֵּצִים /taʃbeˈtsim/ "crossword puzzles" is שב״צ (š—b—ṣ); the root of לְהַטּוֹת /lehaˈtot/ "to tilt, to conjugate" is נט״ה (n—ṭ—h); and the root of הִסְתַּנְכְּרְנוּת /histankreˈnut/ "becoming synchronized" is סנכר״נ (s–n–k–r–n). In older texts, to indicate the transliteration of a foreign word. This use corresponds to English's use of italics. For example: in printed works of Rashi, the town of Rashi's birth, Troyes, is spelled טרוי״ש. 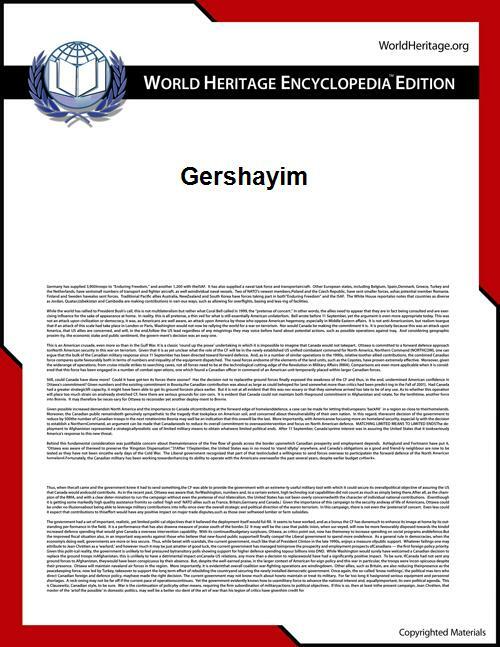 Gershayim is the name of a disjunctive cantillation accent in the Tanakh - ֞. It is placed above the stressed syllable, as in וַיִּקַּ֞ח (Genesis 22:3). Most keyboards do not have a key for the gershayim. As a result, a quotation mark is often substituted for it.